The weather is getting colder and classes are getting busier. Comfort is much needed and Nutella, in any form, is sure to deliver. 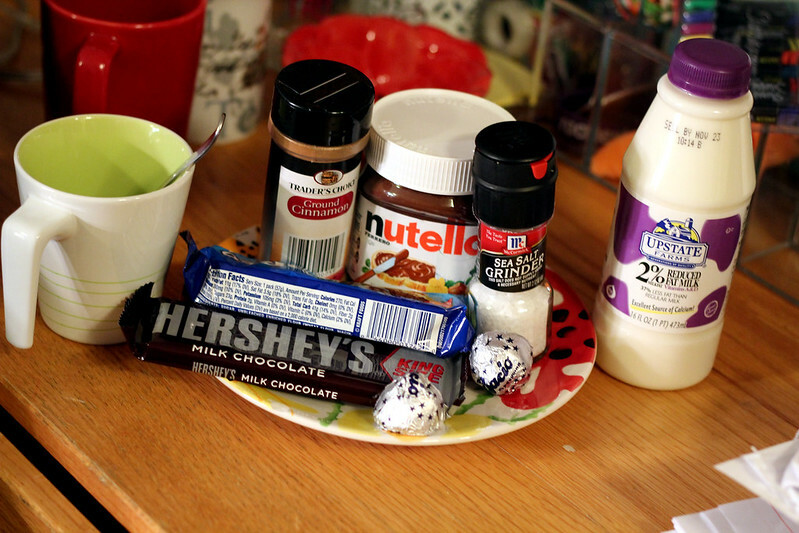 Nutella can be put on nearly anything, such as cookies, bread, fruit, crepes and yogurt. But when made into a hot and milky substance, the satisfaction level rockets. This simple and easy recipe takes under three minutes and warms your belly and soul with every sip, so throw that textbook aside and grab a mug. 1. 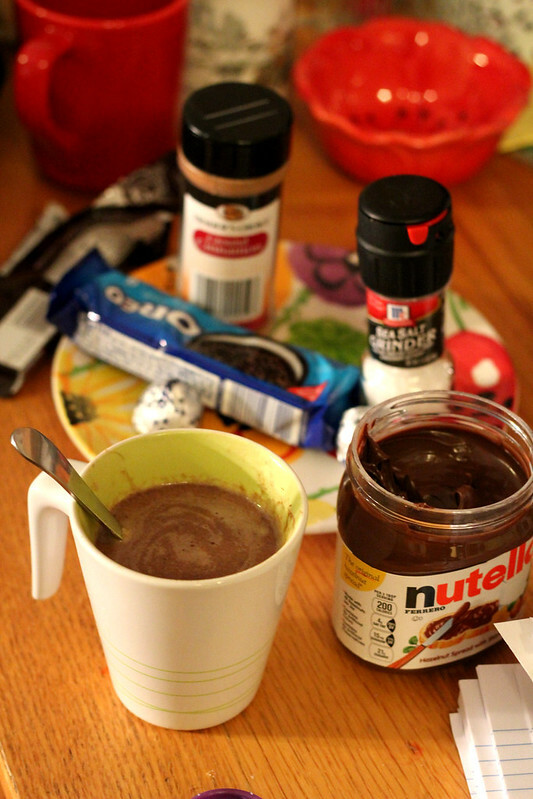 Put the Nutella and chocolate bar in a microwavable mug with enough milk to barely cover the Nutella. 2. Microwave for about 30 seconds and stir. Keep microwaving until the chocolate is completely melted into the milk. 3. Add the rest of the milk and microwave for another 30 seconds, or until hot. Keep an eye on it, as the milk may begin to bubble. 4. Add a small pinch of salt and a dash of cinnamon and stir. Top with whipped cream, more chocolate, or any other toppings you desire… literally go nuts, chopped hazelnuts perhaps?